Healthy desserts definitely do not need to be boring. Take this one. 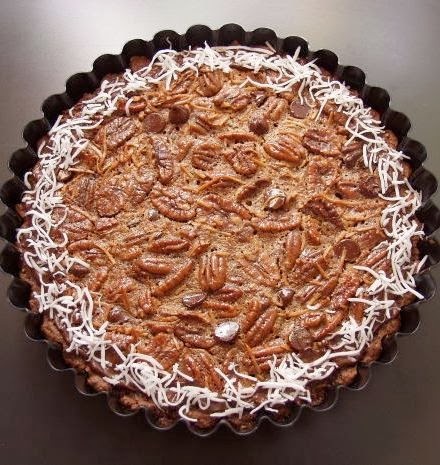 An amazingly delicious pecan pie recipe that has been in our family for decades. 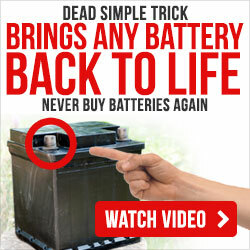 It’s super-easy. Besides the Yum Factor, it happens to be a really healthy dessert too! (You may know that pecans are very high in all kinds of nutrition food values, so when included, they create very nutritious recipes. Plus – take a look at the flavorful sweetener we use). You just can’t go wrong with this pecan pie recipe, which is continually raved about whenever we make it. I can’t even begin to tell you how many people over the years have said it’s the best pecan pie they’ve had. So I just had to share this specialty which has been passed down from my grandma, so this recipe is definitely tried and true. And it’s not just for the holidays (for some reason people associate pecan pie with Thanksgiving and Winter holidays, in the U.S. But make it any time! It’s also perfect for the Fourth of July! Or parties and receptions. You can use either a regular pie crust, or the mini party-style pie shells. It only takes about 15 minutes to put together. Beat the above ingredients thoroughly, until mixed well. Then add in the pecan halves and stir well. Preheat oven to 350 F degrees. Put the pie shell (in its pie pan) onto a cookie sheet as a protection, so the pie mixture will not dribble onto your oven rack and burn while baking. Then pour the above mixture into the pie shell. The mixture will be soupy and can spill. Carefully put into oven. Bake about 50 minutes or until a knife comes out clean. This fantastic pecan pie recipe is pretty much a no-brainer. Like I said, it takes about 15 minutes to make, but then of course allow for the baking time. You’ll sure to get compliments. So try it out! We’ve got lots more healthy dessert ideas on our Delicious Healthy Dessert Recipes page (see link below). We’ve got a killer strawberry pie (not the gelatinous kind!) and an apple crisp with a truly luscious topping – the best. Both have been in the family for decades, too. So check them out. Plus, we’ve got a really good dessert Forum going where you can get more yummy ideas – and share yours!. So be sure to also visit our Share Your Dessert Forum! Mary Schulte is the founder of ElderOneStop, LLC and www.elder-one-stop.com specializing in one-stop resources and information for seniors and baby boomers -- including health, caregiving, nutrition, activities, gifts, retirement, housing, travel, and more. A free newsletter is available, and a web site subscription. And check out our Forums. Also see Delicious Healthy Dessert Recipes.